EMMANDUS INSPIRATIONAL NETWORK! : RISE TO GREATNESS : BEGIN TODAY! RISE TO GREATNESS : BEGIN TODAY! 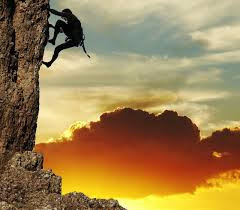 Many desire greatness and just a few really aspire to achieve greatness, you are among this few who both desire and aspire.However, we all wait till the perfect day, the perfect time and moment where we begin to rise to greatness, we dream of a time when we are bolder, stronger and ready. However the 'perfect' time never seem to happen, you have to create it and make it happen. Seize the moment, you are stronger, bolder, more powerful and ready than you were yesterday.Today is your day and now is the moment to rise to greatness. There is greatness in you and it is your destiny to be great.Today is your day, Now is your moment.Begin today, start now to rise to greatness. Put the touch of greatness and excellence into every word and every act, by doing uncommon things in excellently great ways, constantly improving and innovating. Today is the day you rise to greatness. And with this awareness we will advance with unusual power and raise our very existence to its next level of excellence.